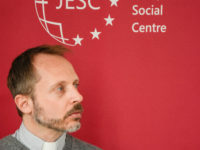 “In all of our work, we aim to lift up the voices of people on the margins,” said Ted Penton SJ, Secretary of Justice and Ecology, at the Jesuit Conference of Canada and the United States, during his trip to Europe. Ted Penton SJ – one of the four Universal Apostolic Preferences, recently identified by Superior General Arturo Sosa SJ, is walking with the excluded. A key aspect of the Universal Apostolic Preferences is how intimately connected all four of them are. One thing that gives me a lot of hope is seeing the desire of so many young people to work for social justice, advocating on behalf of those who are excluded from our society. In your work as Secretary of Justice and Ecology, what do you find most satisfying? In all of our work, we aim to lift up the voices of people on the margins. A great example of this is when we are able to bring people directly affected by government policies in front of policymakers in Washington, DC. Recently we held a briefing for congressional staff members on issues related to the current administration’s deportation policies. The star panellist was a young woman both of whose parents were deported. This woman is a member of a Jesuit parish and she was able to share directly the pain that the separation has caused to her family. A large number of people currently being deported have very long-standing ties to their communities, have children who are American citizens, and have had jobs in the United States for many years. Being deported has a significant impact on the people themselves but also on the families and communities that they are leaving behind. Are the younger generations caring more for our common home, as the last of the four preferences recommends? I think many of them have a really strong understanding of the importance of working for environmental justice. For example, I see the movement of teenagers demanding political action against climate change as a very positive sign. One of the main tasks in your mission is reconciliation. How does this involve working with Indigenous peoples? Reconciliation is essential to our identity as Jesuits: reconciliation with God, with one another, with creation. 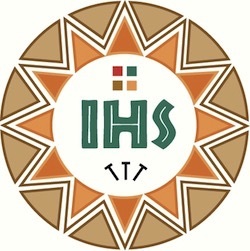 In North America, Indigenous people have been central to the Jesuit mission from the very earliest days. There have been many points of light in that relationship but also of darkness. The need for reconciliation is strong. Any important events coming up on this topic? In October, the Catholic Church will hold in Rome a Synod on Amazonia, with a focus on the Indigenous peoples of that region, and on ecology. We have so much to learn from our Indigenous brothers and sisters, who have been caring for our common home for thousands of years. At the end of March at Georgetown University in Washington DC, we had a preparatory conference that brought together Church leaders and Indigenous leaders not only from Latin America but also from around the world. Your criticisms of the Trump Administration’s environmental policies are very clear – how do you spiritually approach people who hold different opinions? Our office is non-partisan. We have issued some statements that are critical of Trump’s administration, just as we issued a number of statements that had been critical of the Obama administration. It is central to our effort that we are able to reach out to people across what is a very divided political spectrum. Our approach is to look for areas of common connection, those areas where we find common interests between us. There are a lot of those, in particular around environmental issues. Do you have a specific methodology? One resource we helped develop is called the ecological examen. The examen is an Ignatian style of prayer which invites the person or the community to look at their own actions in the light of God’s love. We developed this tool as a way of really looking at how we are personally caring for the Earth. It does not ask people to support any specific party’s proposals and so it helps us move past bitter partisan divisions.